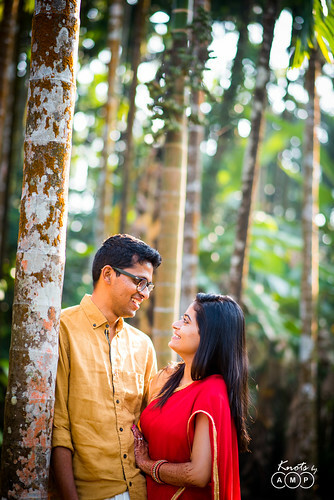 Our second shoot of this wedding season was with Shreyas & Shruti, in Mangalore, Karnataka. 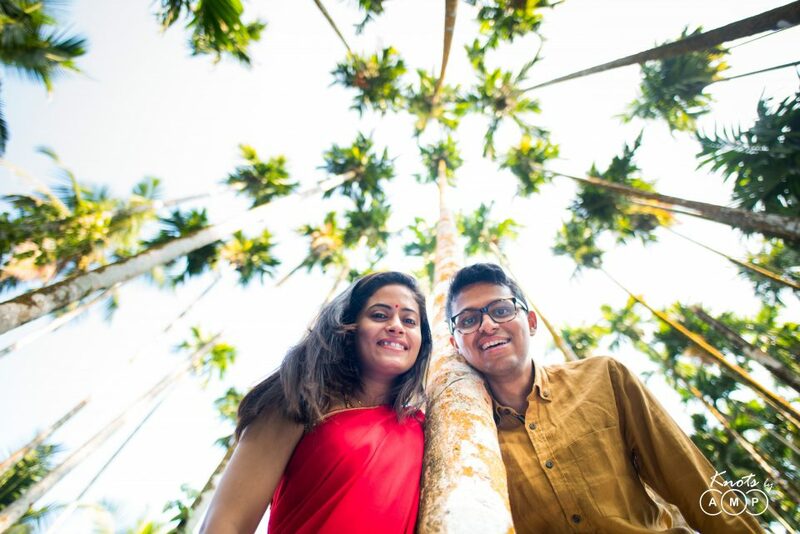 We were already smitten by the pristine beaches, greenery, array of coconut trees, temples and churches that Mangalore had to offer. Thereafter, we got to know we were shooting the couple at their gorgeous farmhouse the next day post their wedding. 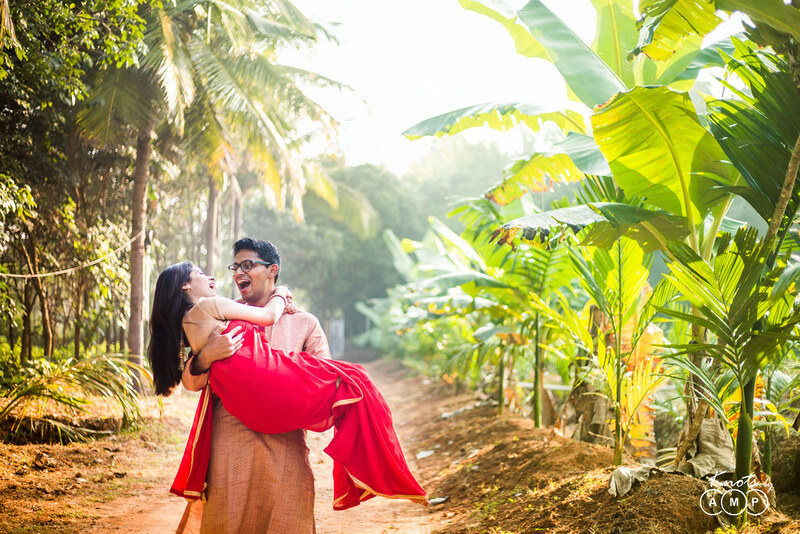 Shruti & Shreyas got married as per south-indian rituals at Shreyas’s hometown in Mangalore. 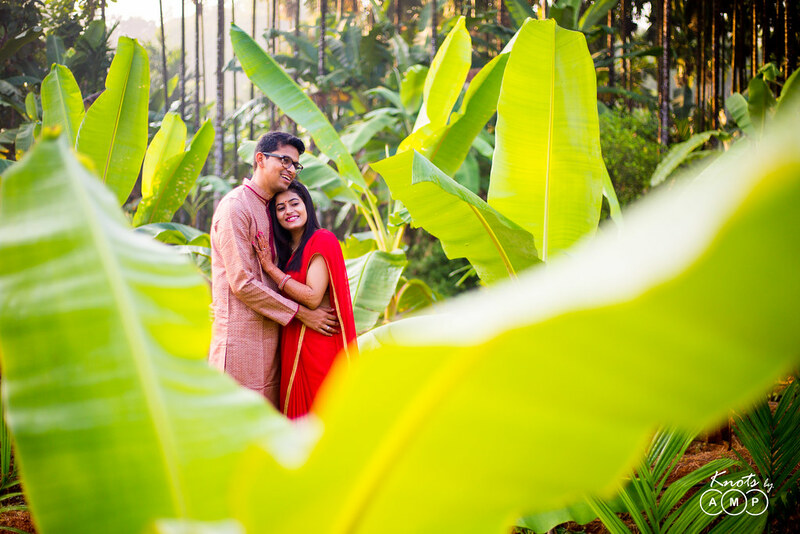 The wedding blog is coming in the next installment. 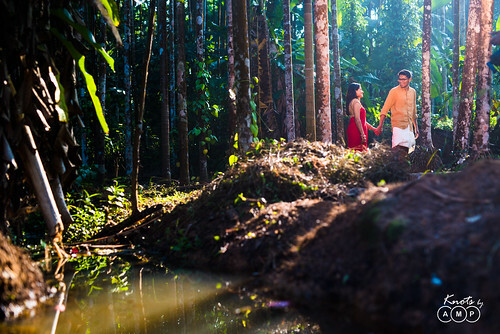 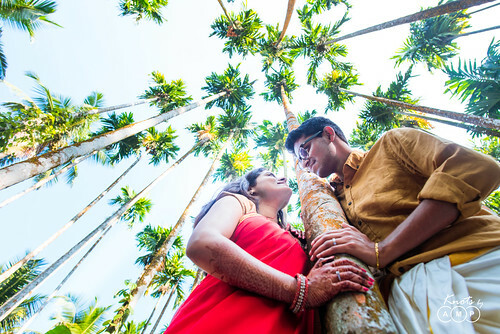 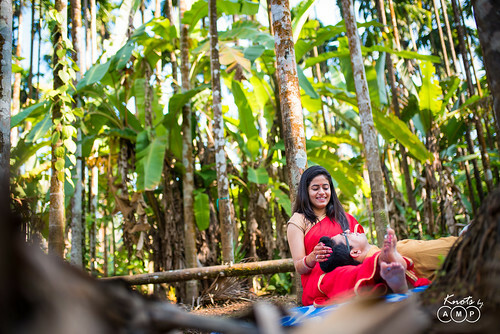 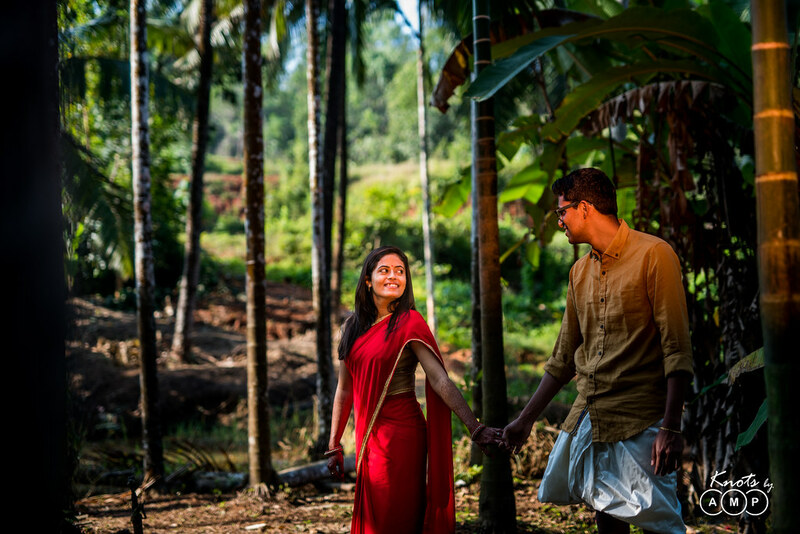 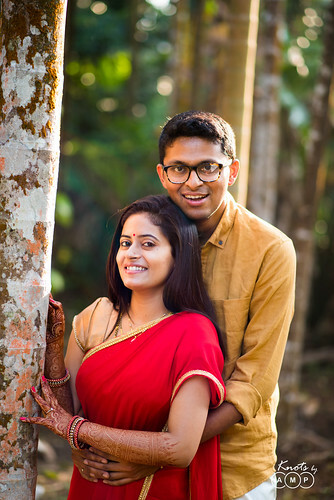 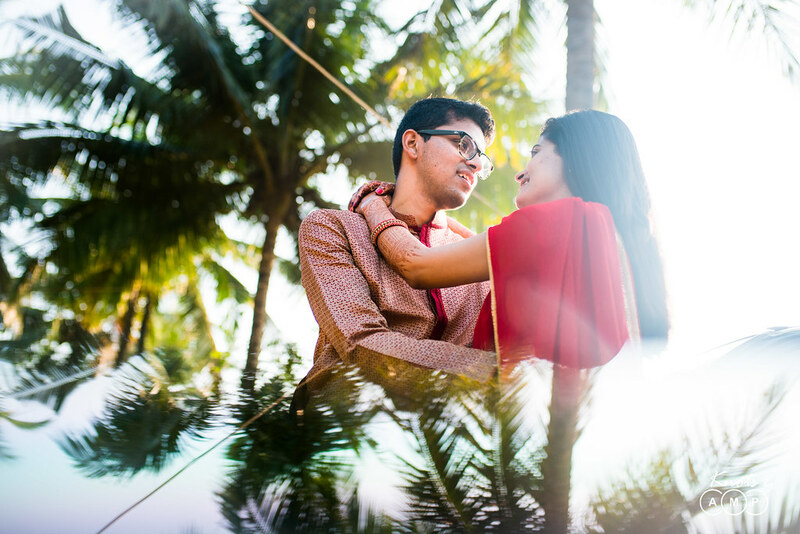 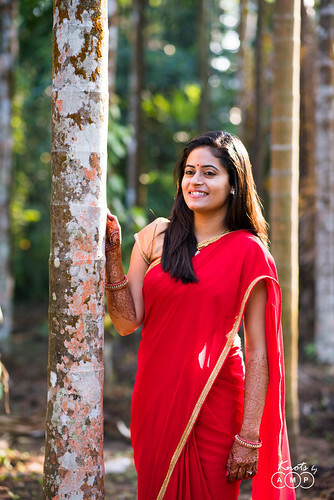 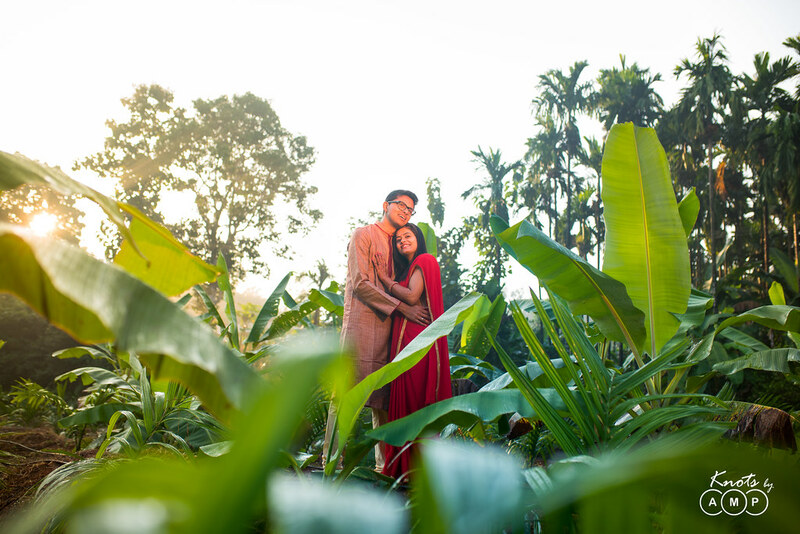 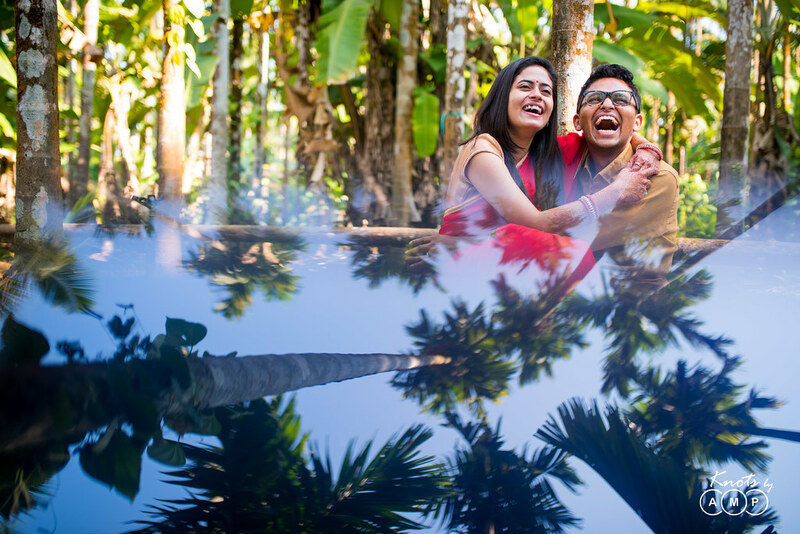 What we could not wait, but to share is their beautiful post-wedding shoot at Shreyas’s farmhouse near Mangalore. Shreyas & Shruti moved to their farmhouse just after their wedding. The same farmhouse which Shreyas is very proud of. 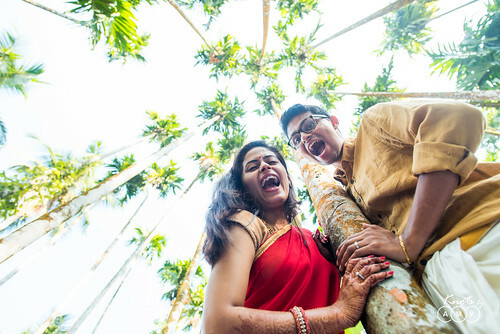 They were really looking forward to a photoshoot there. 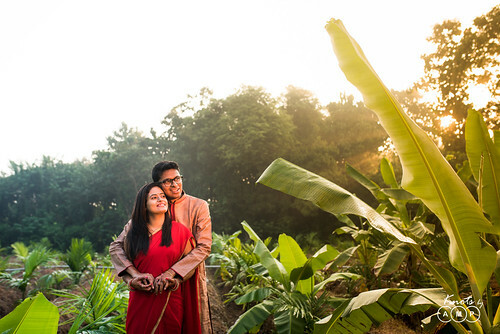 When we reached there at 6 am, we were truly mesmerized by the greenery, various plantations and the setting of his idyllic farmhouse. In the pictures, you will see the beauty of the green banana leaves, the sun’s first rays falling on them, tall and narrow supari trees which also yield chemical for paints. 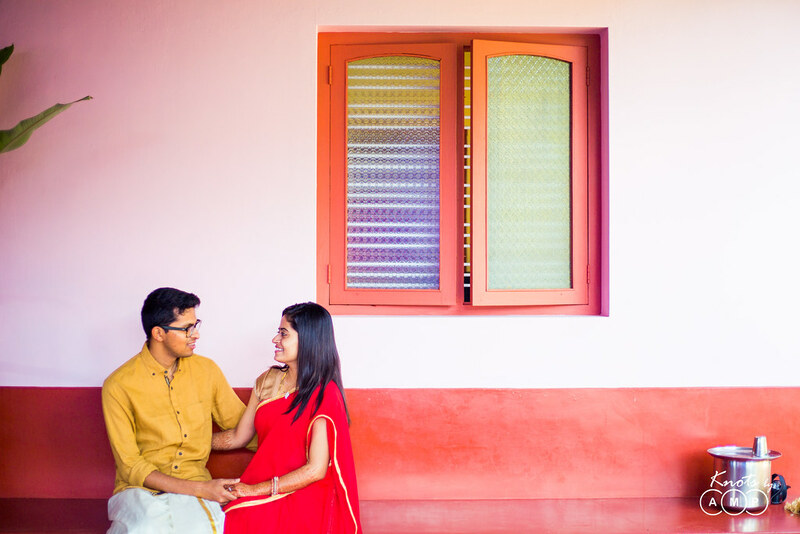 Shruti got a first hand glimpse of the farmhouse, which she had heard so much from Shreyas, over the long course of their relationship. And just like us, she was so amazed. 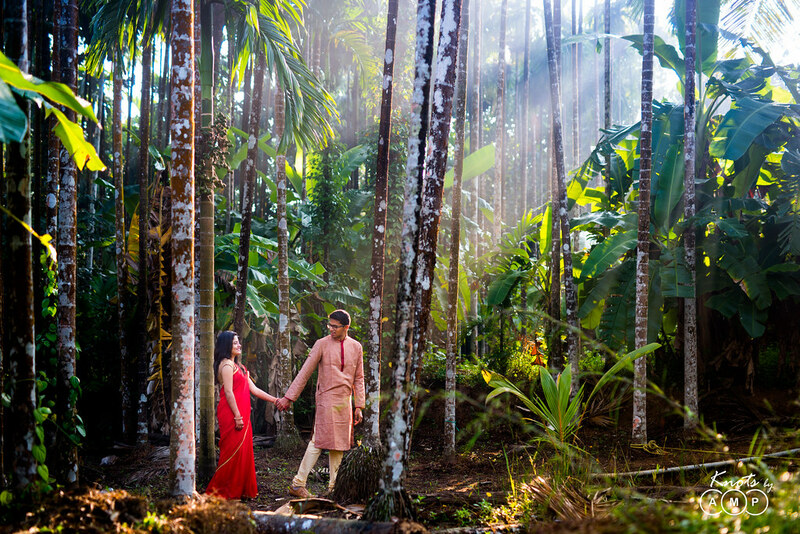 All these made for some stunning photographs. 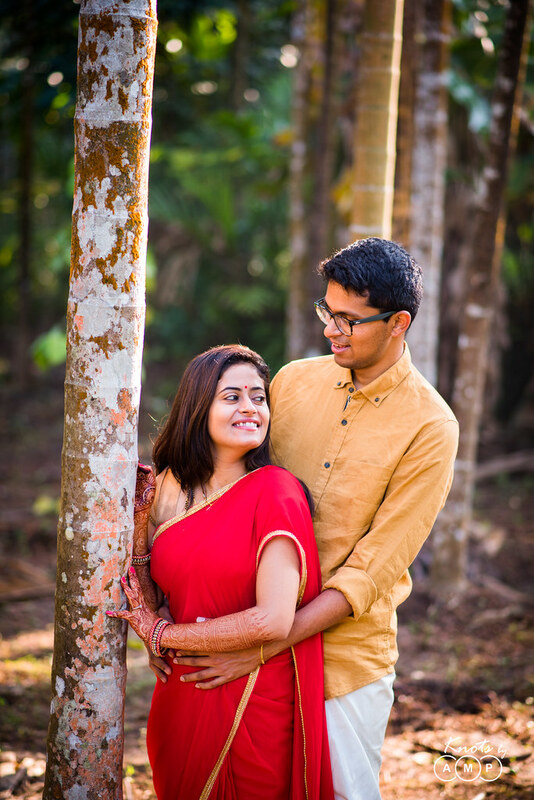 This is something we had wanted to do since a long time! 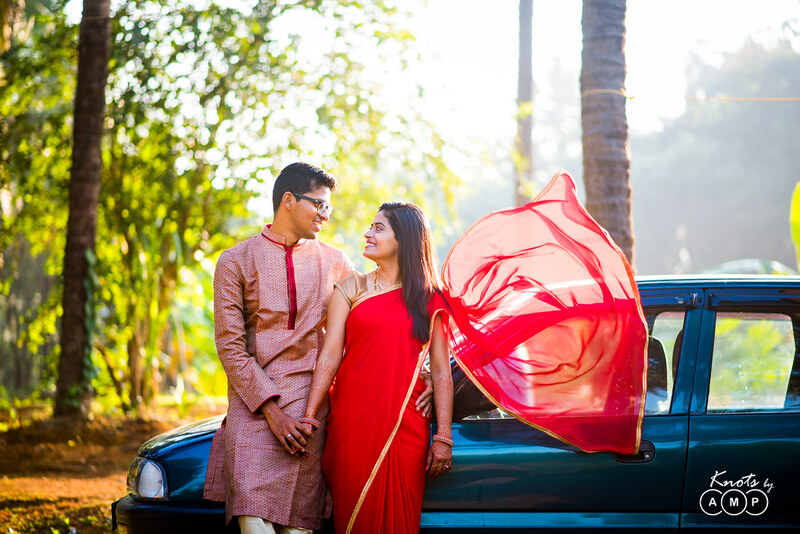 Thank you Shreyas & Shruti for trusting us and giving this beautiful treat with natural beauty!